O' Oysters mission is to make oyster feasts happen anywhere, anytime. 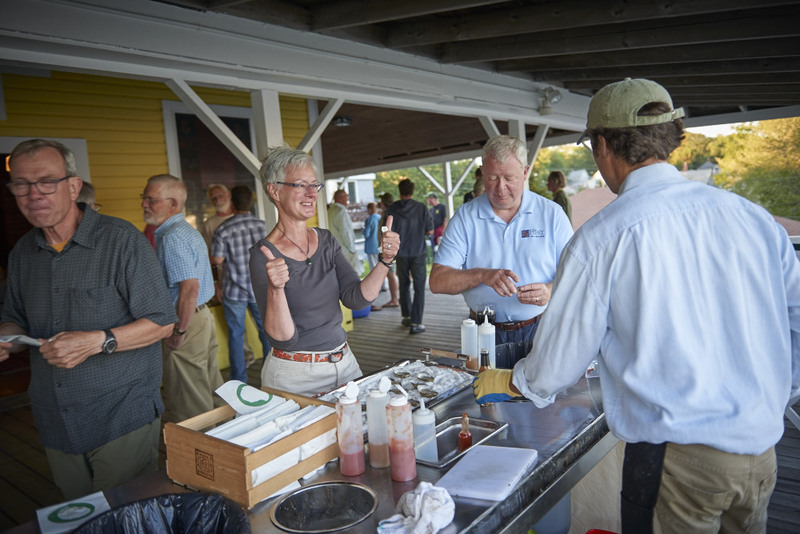 Our service is unique but straightforward: we source fresh, great tasting oysters, deliver them to the site of our customers' event, and shuck them to order with style and a smile. Our oyster shucking service appeals to the at-home host, event planners, caterers, restaurateurs, and everyone else who loves oysters. We have multiple shucking station styles to suit our customers' needs. Each design is self-contained having refrigeration, storage, shuck boards, display space, and disposal capacity. 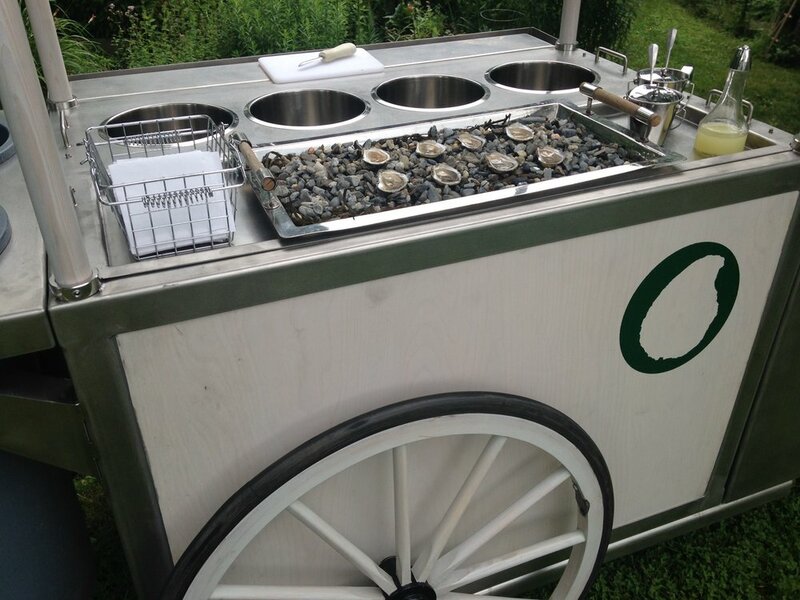 Consider hiring us to serve oysters at your wedding, holiday party, birthday celebration, place of business, corporate gathering, for an educational tasting with friends, or simply for some backyard fun. We will shuck oysters in-doors or out; we are pleased to work small parties or large. Consider also signing up to our newsletter. Through our newsletter you will learn about our upcoming public events, where our street vending cart is stationed, and receive discount coupons via email. We respect your privacy: we will never email more than once per week and we will never share your address.